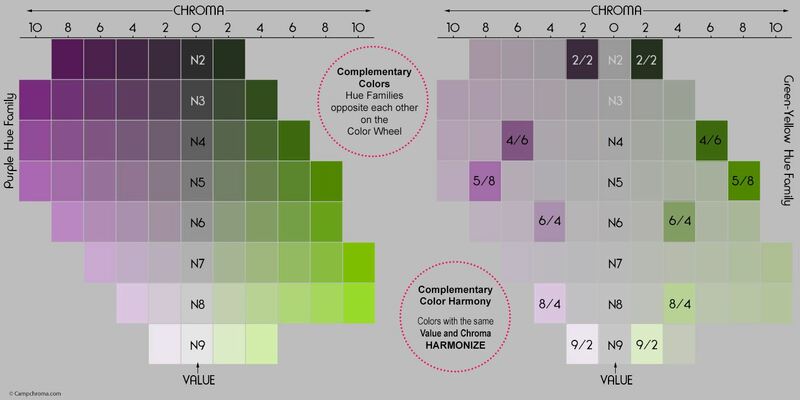 The practical application of color data values isn’t exactly a hot topic among architectural color and interior design professionals, but it should be. The order of a color space, like Munsell, provides context for comparing colors, especially with regard to hue, value and chroma. However, that contextual color space can also be used to establish a baseline of perceived warm and cool color temperature (i.e. the psychological qualities of color linked to temperature). Psychologically, red is warm, and blue is cool. Architectural color design strives to create aesthetically pleasing, visually ergonomic, and human supportive environments. The Munsell color space and color notations also provide an efficient framework for crafting color harmonies beyond pedestrian color theory. The resulting color combinations have a refined balance that would otherwise be time-consuming for a designer to conceptualize and pull together using only their color mojo super powers. In this webinar we will explore the usefulness of color notations and color data values to improve and streamline architectural color design processes. Lori Sawaya is a color strategist. She got her start in graphic design, and as color printing became more readily available, Lori started to become obsessed with the color management aspects of her career. This obsession turned into several years of dedicated training and study, which led Lori to a whole new understanding of color and how we measure it. From there, Lori developed a course that teaches others how color is measured but she takes it a step further and shows interior and architectural color designers how these concepts have practical application in their businesses. Her business, Camp Chroma, is all about building the foundational tools needed to leverage the power of color data. Other industries rely heavily on the values and measurements surrounding color, so why not Interior and Architectural Color Design?